With its striking spout and easy to use ceramic handles levers, the Glastonbury range encapsulates both splendour and practicality. 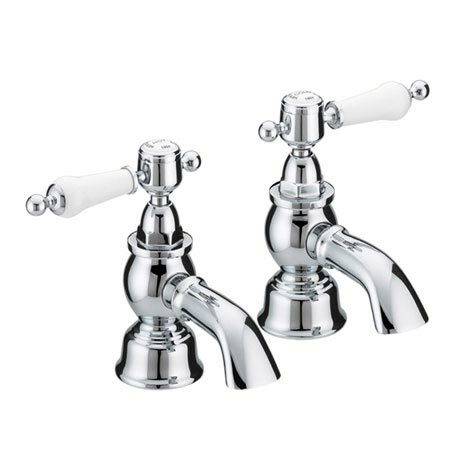 These Bath Pillar Taps are made from chrome plated brass and feature quarter turn levers for easy operation. Comes with a 5 year guarantee covering manufacturing faults.